Sadly once again we have some bad news to pass on to you. 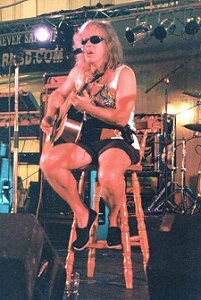 Musician Judge Trev (Trev Thoms) passed away on the evening of December 6th. We are informed that he died of pancreatic cancer. 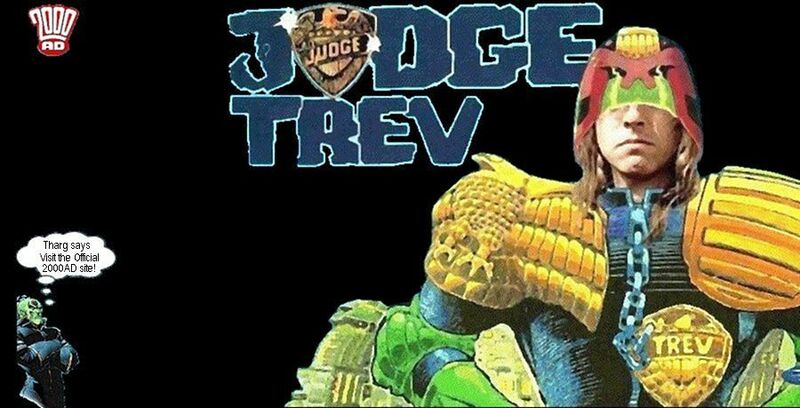 Judge Trev was best known for his partnership with (Ex-Hawkwind frontman) Nik Turner in the band he founded 'Inner City Unit'. ICU made many fantastic albums and EP's over the years, as well as becoming absolutely legendary on the festival scene. He collaborated with many other artists as well as releasing solo material and also ran a wonderful website called www.realfestivalmusic.co.uk a well known source of finding rare CD releases by many great festival bands. 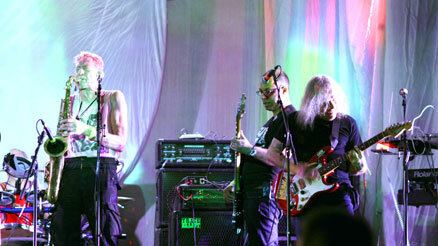 Above: Judge Trev (on the far right) playing guitar with 'INNER CITY UNIT'. We met Trev at the Cosmic Puffin Festival on Mersea Island back in 2009 and were also lucky enough to witness his Sunday morning performance with Kev Ellis of 'Bubbledubble' (Now available on CD), an absolutely hilarious set of acoustic parody which they described as Psychedelic Space-Folk! Judge Trev was a talented musician, a funny fellow and a genuinely nice chap! A great loss to music and the festival scene, as well as his family and friends. May he rest in peace.